Tryon Palace served as the backdrop for North Carolina’s transformation from colony to statehood. In May 1775, then Royal Governor Josiah Martin fled the palace as patriot forces approached New Bern. 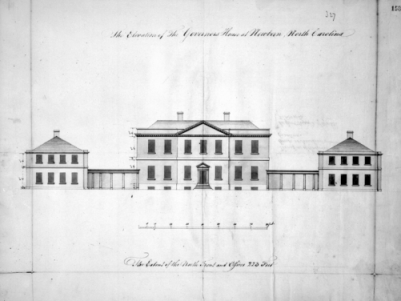 When North Carolina became an independent state, the first four governors resided in Tryon Palace until Raleigh became the new capitol in 1794. After a fire destroyed all but the kitchen and stable offices in 1798, most of the original land was utilized in highway and housing developments. In the 1940s, public interest and private donations convinced the state to consider the feasibility of bringing Tryon Palace back to life. The palace, reconstructed to the original design, opened as a public museum in 1959. Now a state historic site, Tryon Palace stands as a reminder of North Carolina’s rich historical legacy.